Available with us is a broad and quality approved range of Stainless Steel Socket Weld Fittings 316L . These Stainless Steel Socket Weld Fittings 316L are made employing hi-tech machines and technology in accordance with the standards laid down by the industry. Stainless Steel 316L Socket Weld, which has great protection from the different destructive media that are regularly found in both coastal and seaward situations. 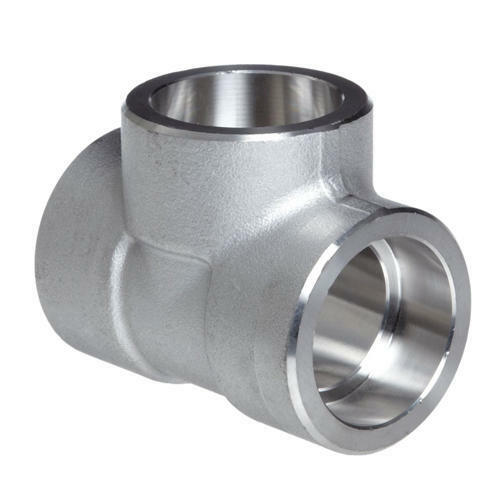 There are two critical advantages of Stainless Steel 316L Forged Socket Weld Elbow that make this material so appealing to the Oil and Gas Industry. The high opposition of Stainless Steel 316L Forged Socket Weld Tee to chloride – initiated pressure erosion breaking is of specific significance here. The high quality of Stainless Steel 316L Forged Socket Weld Cap is very helpful in managing the high weights experienced at incredible profundities. Treated Steel 316L Forged Socket Weld Coupling can likewise offer some material cost favorable circumstances when contrasted with elective decisions, however forthright expense isn't typically an essential driver, particularly for undersea extractions. The staggering expense of disappointment in oil fields of extraordinary profundities makes Stainless Steel 316L Forged Socket Weld Cross basic that the most ideal material for the activity is chosen forthright. In this way, Stainless Steel 316L Forged Socket Weld Union is important that all cost computations incorporate lifetime support and potential cost dangers because of disappointments so as to genuinely assess costs while choosing materials. In specific cases, protection from configuration worry of Stainless Steel 316 Forged Socket Weld Plug is vital are favored.